The plant has been shuttered for more than a year because of unusual degradation of steam generator tubes carrying radioactive water. 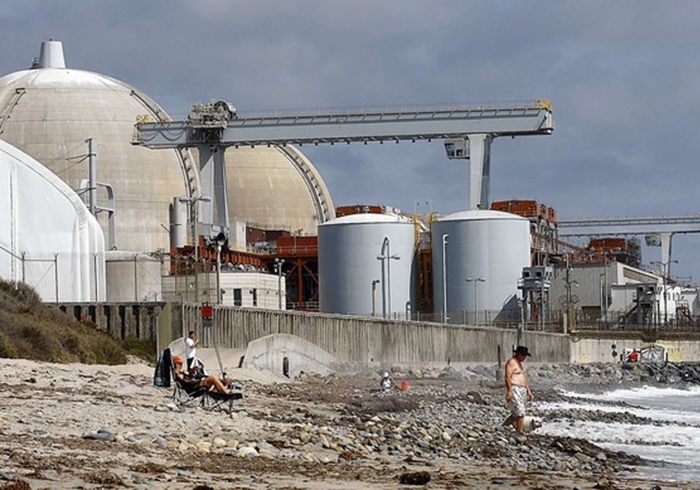 The commission launched an investigation in October into the costs of the outage at San Onofre, which could eventually result in some rates being refunded to customers of Southern California Edison and San Diego Gas & Electric. That investigation may not be completed until 2014, but a decision could be made on the first phase, which will examine the plant’s 2012 costs, in July. The commission will look at the costs of the faulty replacement steam generators that prompted the plant’s shutdown at a later phase in the investigation. Thursday’s hearing, which stretched over three hours, was the first of two that day aimed at gathering public input on what the commission called Edison’s “operational and financial response” to the San Onofre outages. The commission is also planning a second set of hearings in San Diego County, but dates haven’t yet been set. Neon green signs reading, “Cut our losses. Not a penny more to Edison,” bobbed in the audience as speakers demanded that Edison decommission the station and refund money collected for costs related to the outages. “Customers should not be paying a dime for a nonfunctioning nuclear plant,” said Mindy Spatt, a spokeswoman for the ratepayer advocacy nonprofit, The Utility Reform Network (TURN). Others—many speaking on behalf of local business advocacy groups—urged the commission to work toward getting the plant back online as soon as possible. “This leaves the question, if not SONGS, then what?” he asked. Interim options, such as a formerly retired natural gas plant in Huntington Beach, aren’t sufficient in the long term, he said. But San Clemente mom Patti Davis, 50, said that regardless of how much the utility knew, the plant shouldn’t reopen. Either way, she said, “there is no escape route” from radiation. The company is also awaiting a decision from the U.S. Nuclear Regulatory Commission on a restart proposal for one of the plant’s two units.